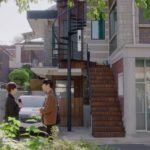 This is the exterior of the house shared by Professor Jung Yi-hyun (Yoon Hyun-min) and teaching assistant Kim Geum (Seo Ji-hoon) in Mama Fairy and the Woodcutter/Gyeryong Fairy Tale/Tale of Fairy (계룡선녀전) (tvN, 2018), seen fully for the first time in episode 7. In episode 8, Sun Ok-nam (Moon Chae-won) and Lee Ham-sook (Jeon Soo-jin) run into Kim Geum at different times outside the house, while on their way to see Yi-hyun. This house is located on Seongmisan-ro 29gil [성미산로29길], in Seoul’s neighborhood of Yeonnam-dong [연남동] in the Mapo District [Mapo-gu/마포구]. 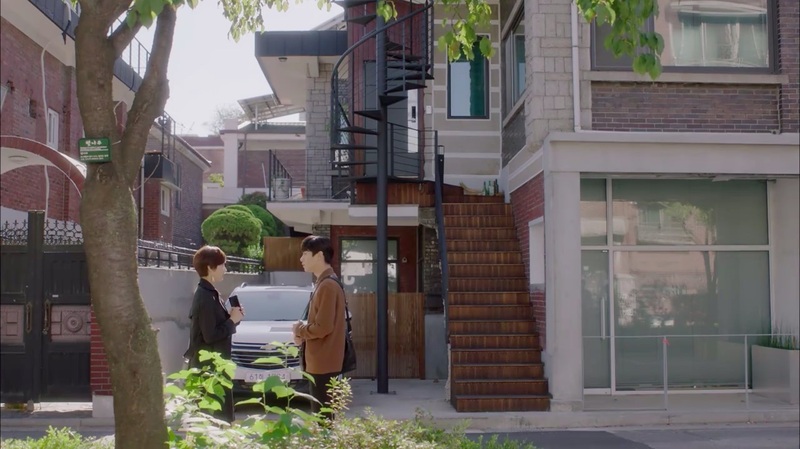 It is across the road from the other K-Dramaland house on this street, with Eunhaeng Children’s Park [은행어린이공원] just further down.